Social sharing buttons helps to get good amount of backlinks to your site. 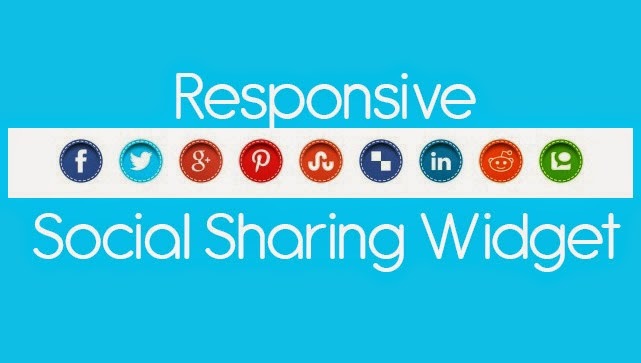 Here is a very responsive Social is sharing button.It works well on any platform. It can be used anywhere on your site, especially under every post, so that others can share your article. How to add this Social Sharing Widget Under every post In Blogger. Step 2: Go to Template and clcik 'Edit HTML'. Step 3: Now search for <data:post.body/> using Ctrl + F.There will be more than one <data:post.body/> for some blogger template.So don't get confused.Just try placing this code under each one of the <data:post.body/> tag. Step 4: Below <data:post.body/> paste the below code.